Fendi and me is the news I got for you. Yes, they made such a fine re-post on Instagram of an illustration I made of their fall-winter2016 collection. How wonderful is that!!! And as you may know Fendi is 90 years this year, and celebrated it with a spectacular fashion show at the Trevi Fountain, where they launched the Legends & Fairy Tales collection. They have also made such an adorable exhibition, I have seen so many cool pictures of this on Instagram. It looks like a pop-futuristic world in real life. I want to see it :)) You can see my illustration on Instagram here. 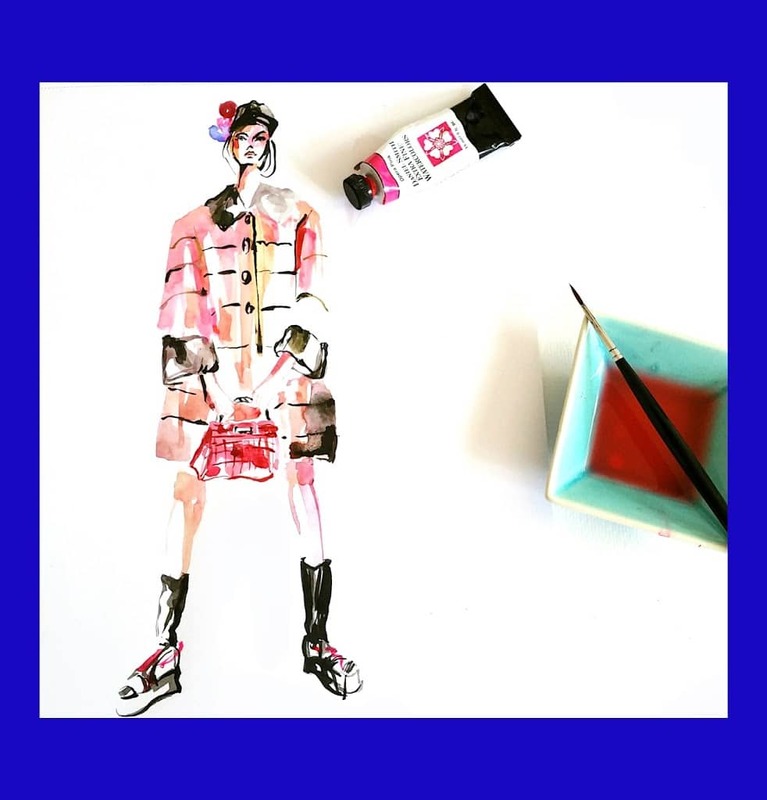 And you can also see more of my fashion – lifestyle illustrations in watercolor here.